The growth is done by a combination of my bi-weekly contributions plus growth and dividends from my investments. 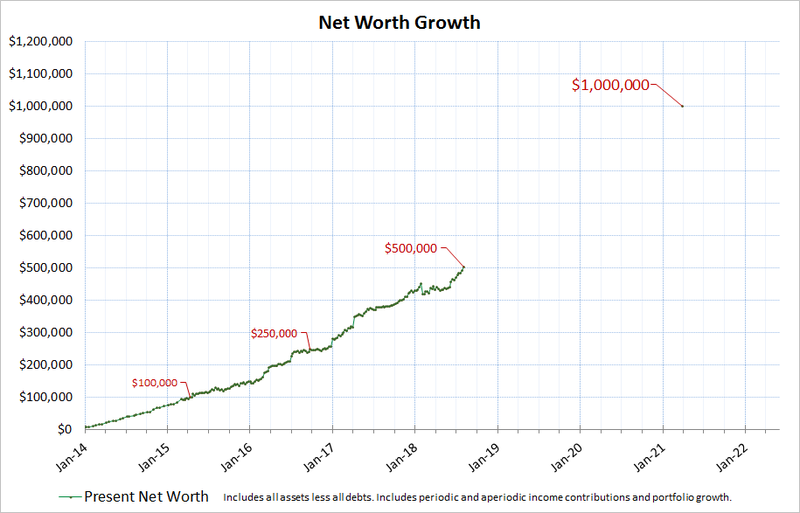 I think this number will obviously fluctuate up and down in the short term with market fluctuations, but in the long term it is good to see the trend is moving upwards steadily to my goal or $1MM. Although I have completed my 100K, 250K, and now 500K milestones, I do not really feel anything different in my life. It is rather anticlimactic. My daily life and vocation and investing is business as usual. I suppose I will pop a bottle of champagne and go buy a cake to celebrate my personal milestone. Great to see you crossing another big milestone! Awesome accomplishment! You keep doubling in less than 2 years time! Keep that up and you'll reach your $1Mil goal before January 2021. :) Thanks for sharing. We love seeing others doing well on their journey. YES!!! Congrats Young Dividend. That's freaking amazing. Look how fast you hit the $500k mark after $250k. You're going to hit $1m before you know it. Man this is quite the inspiring post for this morning. 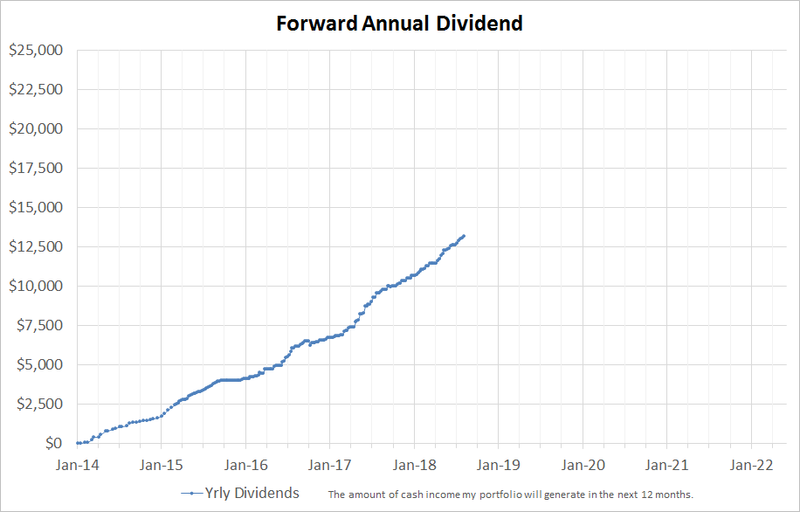 Young dividend congrats when i hit $100,000 late last year it dropped below a few times even after being up by $5,000 it dropped below but as we all know wether it rises or falls those dividends keep rolling in.